Thousands of Romanians braved the cold on Sunday night to protest against government backtracking on efforts to fight corruption. The ruling Social Democrats-led coalition which holds a majority in parliament hopes to push through legislation which its critics say puts the judicial system under political control. "People here think that the government, the coalition in power, they should have told people what they wanted to do with justice, they should have told people before they won the election, "hey we want to take over this justice system we want to curtail your freedoms, we want to get away with independent prosecutors". Because that, I think that would have meant they would not have won so easily." The opposition has accused the government of changing the laws in their favour and not for the benefit of the country. "The attack on the laws of justice continues, because I'm not going to call this a debate it's an attack, when there's not even a proper discussion in parliament, when the opposition has to demand the opportunity to express its opinion this is no longer a democracy," said former prime minister Dacian Ciolos. Contested elements of the bill include changes to a judicial inspection unit which oversees the conduct of magistrates and a presidential veto over prosecuter candidates. 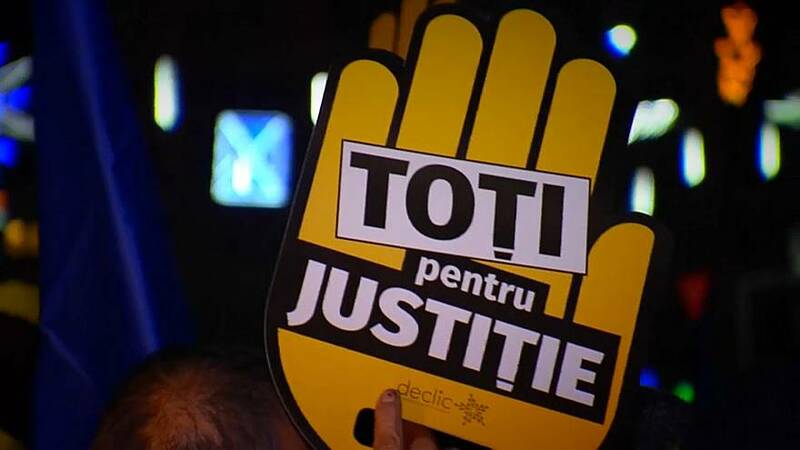 Transparency International ranks Romania among the European Union's most corrupt states and Brussels keeps Romania's justice system under special monitoring. In November the European Commission said reform of the justice system had halted this year in Romania and challenges to judicial independence remain a persistent source of concern.